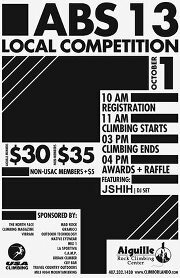 We are proud to be hosting yet another American Bouldering Series competition at our illustrious gym on October 1st. A whole bunch of pristine new routes will be set and registration will commence at 10:00am. The actual climbing starts at 11:00am and will continue until 3:00pm. As usual, the raffle and awards are last, but definitely not least, at 4:00pm. I know many of you don't really believe in wearing shirts at the gym, but a free competition shirt is always nice when you forgot to do your one-thousandth crunch, and if you want to snag one make sure you arrive early! 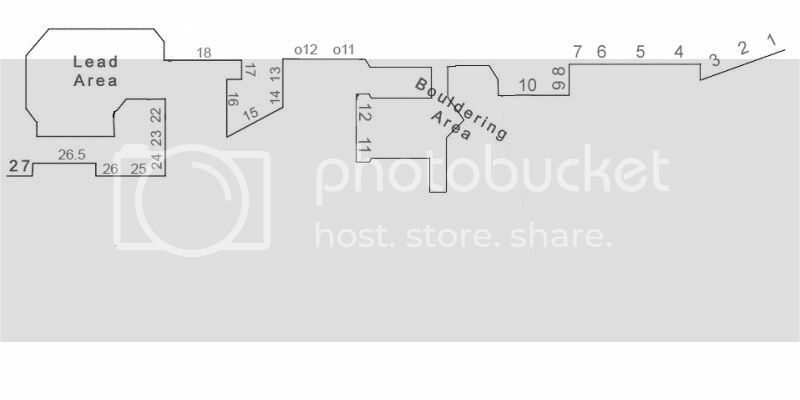 The pricing is as follows: $30 for Aiguille members and $35 for everyone else. There would be an additional $5 if you are not yet a USAC member and be sure to remember your card and number if you are. Be aware that competitors cannot enter the gym between 9/28/2010 to 9/30/2010. On a final note, your ears will be pleased to know that JSHIH will be in control of the music! Speaking of my man JSHIH, he was yet again spinning out monstrous beats during our most recent Aiguille After Dark. 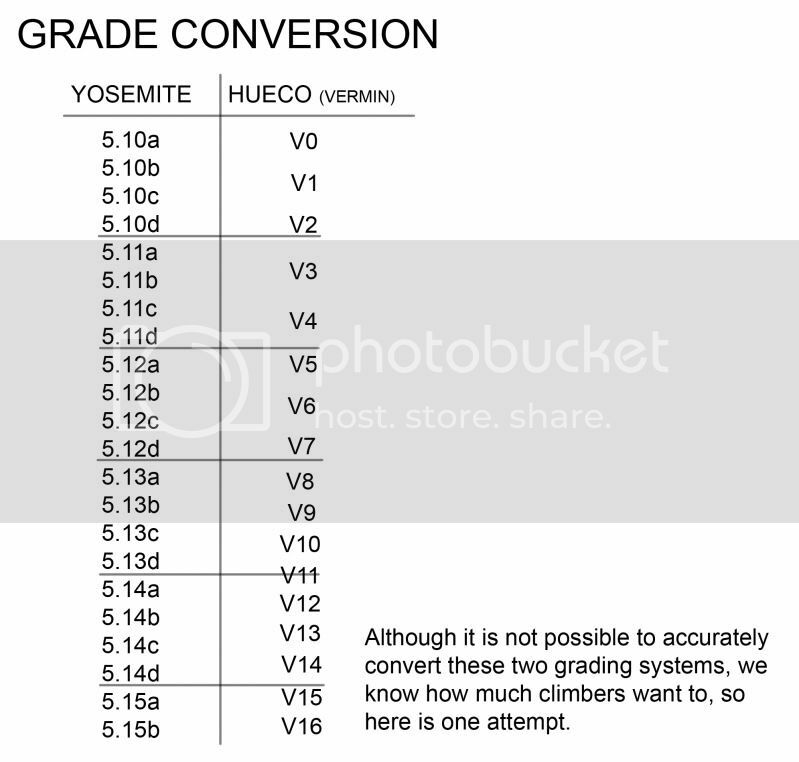 It was actually a little dimmer than usual and the new top rope routes put various climbers on an emotional roller coaster, toeing the line between athletic perfection and mental anguish. Be sure to be on the lookout for the next one and we hope to see you there!